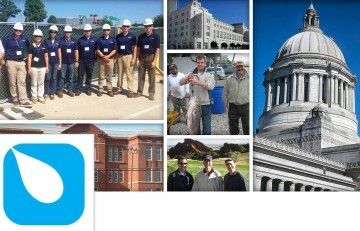 We have entered the social media world with the launch of our new Western Specialty Contractors – Careers page. After much discussion, we felt it was time to join many other companies that have utilized Facebook to supplement their company’s recruiting efforts. We love our new website. We believe it does a great job of portraying our company’s story, our services and our people, but only if people see it. We also love our company… which is why we are here, but how do we share what it means to work at Western with others? To help increase our reach digitally, we joined Facebook. There’s a large percentage of our target market for potential employees that use Facebook daily. Using our Facebook Careers Page, we are able to tell the story of our company, its “work hard, play hard” mentality and its people in a forum that can be easily shared and discussed with others. From charity events to retirement announcement and project highlights, we can illustrate exactly what it means to work at Western and the type of environment you can expect as a potential employee. We also peppered our company information with valuable job seeker advice, from interview tips to resume how-to’s to provide candidates with some tools to help land them a job with us. Please “Like” Us on Facebook, and share any job openings and tips that you feel others may be interested in. Note: We encourage you to connect with us, but please keep in mind that we would like to keep a positive community environment for anyone—profanity/harassment/or otherwise inappropriateness will not be tolerated.